Each test allows 3 full completions, which means you can complete the same test and submit your answers 3 separate times to receive 3 separate Diagnostics Reports. Each of these 3 test submissions can be completed over 1-3 sessions. Term “session” means opening the test and closing it with the Stop button to save your answers. At any time you start the test again, your test resumes where you stopped. On the third session, after exiting your test two times, you must submit your answers if you wish to receive your results: percent correct, Diagnostics Reports and Scaled Score (available only for MCAT Practice Tests). After you submit your answers, you will receive a Diagnostics Report where you can review your test and all the questions, see the correct answers with detailed explanations (where provided), generate your performance statistics and receive your Scaled Score (for MCAT Practice Tests). Statistics show the difficulty level of each question, topics tested, how you answered each question, and how well you did in each topic (applicable to MCAT Practice Tests). You can re-take each test two more times, but only after you complete or terminate the previous test attempt. You can have several different tests in progress at any time, but you must work with them one at a time - only one testing window can be open during the session. All practice tests can be taken in either Practice Mode or Test Mode. Practice mode is designed to combine learning and testing of the material. In Practice mode, you are NOT under time limits as in Test mode (time limits apply to MCAT Practice Tests but not to Topical Questions and the Free Sample Test - see section below). In Practice mode, you can also view the correct answer with detailed explanation to the question. Therefore, you can try to answer the question and then see if your answer is correct and read the detailed explanation (where provided). Test mode simulates the actual MCAT conditions and is only available for MCAT Practice Tests (not Topical Questions or Free Sample Test). In Test mode, you cannot view the correct answers or explanations until your answers are submitted. All answers must be submitted within the time limit (see below) to receive your Scaled Score. A difference between the Test mode on our platform and the official MCAT testing process is the Pause function. During your preparation for the MCAT, you are not at the actual testing facility and you may have distractions while you are working on your test. This Pause button allows you to stop the timer and pause the test. To continue, click Resume and the test will resume. The pause feature is available for both the Practice and Test mode. After the time is exceeded (if there is a time limit), the test will NOT stop. You can continue answering question while the timer goes into a negative count. However, if you exceed the time, you will not have a Scaled Score because answers must be submitted within the allocated time to generate a valid Scaled Score. But even in this case, your performance and statistics are generated for your review. Time limits and Scaled Score only apply to Test mode and therefore only affect MCAT Practice Tests, but not Topical Questions and the Free Sample Test. IYou will have 95 minutes to answer 59 questions and will receive a 118 to 132 Scaled Score. In Test mode, the Scaled Score is generated based on a student’s performance. The Scaled Score is not a simple percent-correct to score conversion. It takes into calculation the individual test taker's performance compared to the overall performance of other tests takers on each question. In Practice mode, a Scaled Score is not available. Nevertheless, after finishing the test in Practice mode, statistics will be generated about how well a student did on particular questions within the test. Submit your answers by pressing the button End. Your results will be processed and analyzed and you will see a summary overview on the My Account page. You can review each test submission in detail up to 3 times. 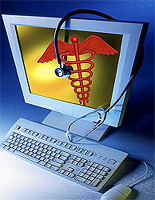 The Diagnostics Report is a detailed overview of your performance on the test and your individualized statistics. The Diagnostics Report includes Overall Diagnostics with your test results, time used, Scaled Score of 118-132 (for MCAT Practice Tests), number and percent of correct answers, questions you marked for review and how many of them were answered correctly. You can review the individual questions, your answers, the correct answers and read detailed explanations (where provided). 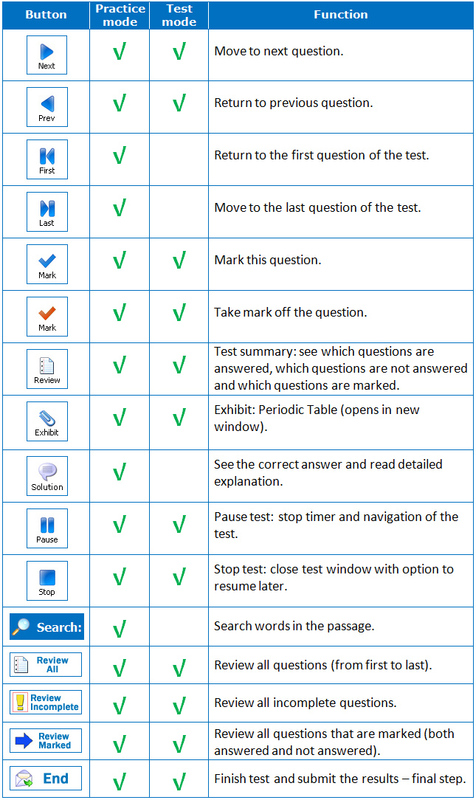 You can review all the questions, all incorrectly answered questions, all questions you marked and sort questions based on their difficulty level. Detailed Analysis tables display the statistics similar to Overall Diagnostics, but in addition, questions will be separated by subject (Biology, Organic Chemistry, Physics and General Chemistry) and by topics within each subject. Detailed Analysis reports allow you to determine which subjects / topics are your strongest and which subjects / topics you should spend more time reviewing. This level of analysis is applicable to MCAT Practice Tests but not to Topical Questions since those questions belong to only one topic and one subject. The Diagnostics Report is available for each completed test attempt. If you submitted three complete attempts of one test, you have three separate Diagnostics Reports. This proprietary feature enables you to monitor your progress of learning. By using our system and practicing computer-based simulated MCAT tests, you will accelerate your learning and master the material for a higher score on your MCAT. Medical College Admissions Test, Practice MCAT online test, studying for MCAT, MCAT Test Registration, computer based MCAT preparation, Medical School Admissions Test, preparation, online practice MCATs, computer adapted exams, cbt online, MCAT online course, information on MCAT, Comprehensive free online MCAT Test, MCAT Tips, MCAT Prep Guide, Premed MCAT Prep for Medical School, Premed mcat, mcat prep, mcat tests, mcat scores.